And it should cost less than the Jaguar I-Pace. Like other automakers, Volvo is planning an all-electric onslaught. By 2025, the Swedish automaker estimates that EVs will make up half its sales and plans to launch five fully electric cars between 2019 and 2021. Volvo’s Polestar performance brand has already unveiled its first electric car, the Tesla Model 3-rivalling Polestar 2, but the first electric Volvo model will be an EV version of the XC40 SUV. According to Automotive News, the fully electric XC40 will debut before the end of the year, but specific details weren’t given. The company made the announcement at a recent safety event held at the company’s home city of Gothenburg. Like the current combustion-powered XC40, the electric version will be underpinned by Volvo’s Compact Modular Architecture, which is also used by the Lynk & Co 01, 02, and 03 sold in China that will, nevertheless, also make it to overseas markets. The Volvo XC40 was unveiled in 2017 and is already the carmaker’s second best-selling model worldwide after its larger sibling, the XC60. Recent comments made by Volvo’s CEO Hakan Samuelsson suggest the electric XC40 will cost around $50,000. This would make it cheaper than the Jaguar I-Pace, so it has the potential to be a massive sales success for the company when it launches by 2020. Before the electric XC40 goes on sale, two plug-in hybrid versions of the SUV will be available. 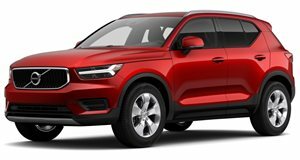 The XC40 is currently offered in T5 Twin Engine trim with a 1.5-liter three-cylinder gasoline engine and a battery sending power to an electric motor, while a T4 Twin Engine is also in the pipeline. Volvo also expects plug-in-hybrids to account for up to 25 percent of global sales by the end of the year. Say hello to Volvo’s first-ever subcompact SUV.